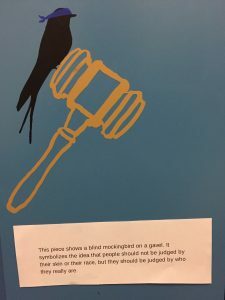 I recently worked with one of our language arts teachers to use our Silhouette Cameo to cut repositionable vinyl to create images for our 8th graders’ lockers based on their reading of To Kill a Mockingbird. What an ambitious project! 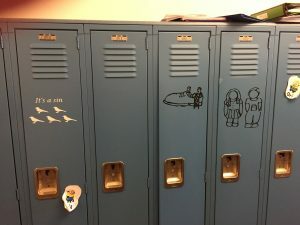 From a tech standpoint, this meant the entire 8th grade had to use an electronic method for d rawing an image that then had to be transferred to the software that drives the cutter. 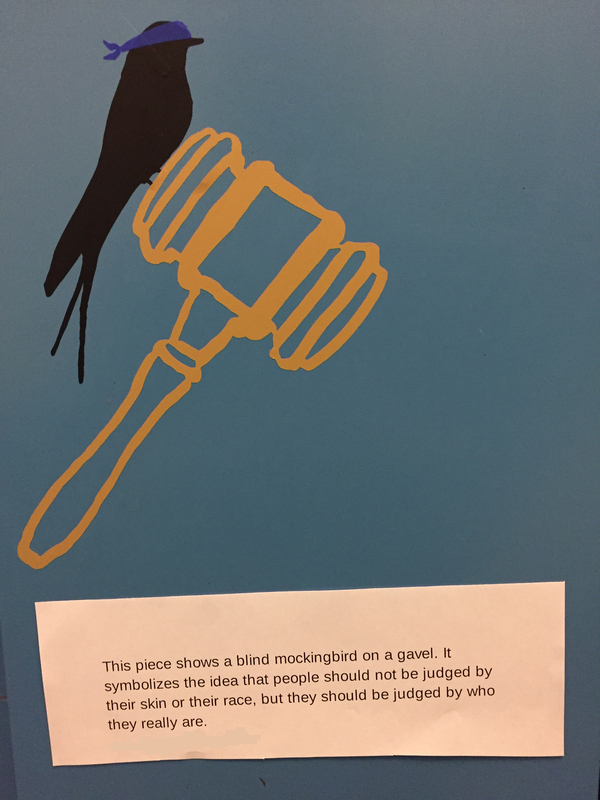 While the Silhouette software has some rudimentary drawing features, we felt that it would be limiting to the creativity we knew our 8th graders would want to bring to the project. After the students came up with what images they wanted for the gallery, they spent one period in our innovation studio learning how to use a drawing app on the iPad Pros. Some of them hadn’t used the iPad Pros and Apple Pencil stylus for drawing, so it was a great opportunity to experiment with these tools. 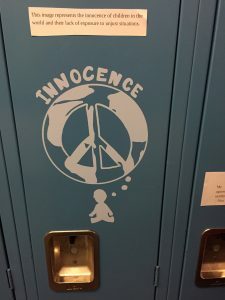 The images were converted to a Silhouette-friendly format (the kids Airdropped their jpgs to me, I ran them through Photoshop to export a work path and then through Illustrator to export as a .dxf file) and the 8th graders were given an opportunity to modify the files, this time using Silhouette Studio. Since the resulting artwork would be cut from solid-colored vinyl, this was a challenge for the students to create with just negative and positive space – no shading allowed! 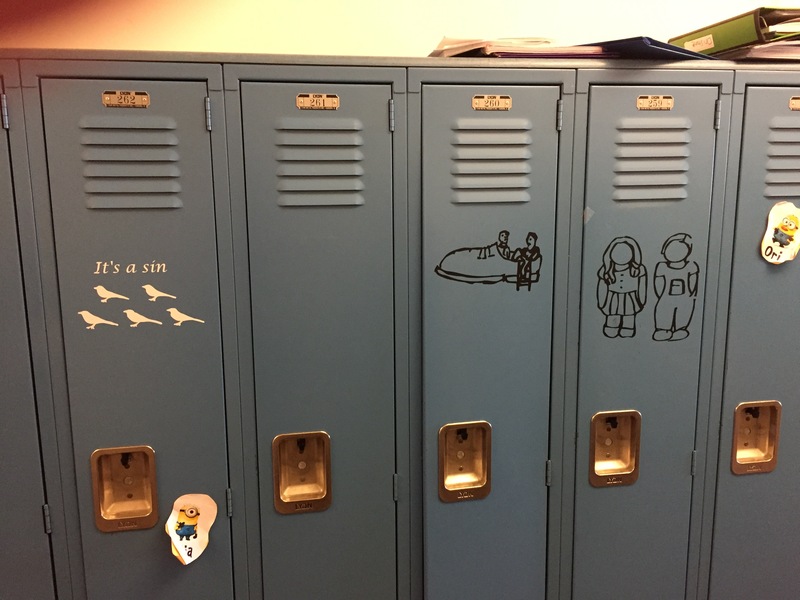 Finally, the images were cut out, and students transferred them to their lockers, along with an artist’s statement. It was so gratifying to watch the students’ excitement as they saw their drawings appear! I can’t wait to see what else my creative colleagues come up with to use this tool.